Flush Mounted Tail Light Kit with 1/2" x 5 3/4" lenses. Flush Mounted Tail Light Kit with 3/4" x 17" Lenses. Flush Mounted Tail Light Kit with a straight 3/4" x 34" Lens. Special order systems with AMBER turn signals on each end and RED brake light in center. Many shipped overseas. Flush Mounting Tail Light Kit with 1" x 4" Lenses. Flush mounted 3rd brake light with 1/2" x 5 3/4" lens Includes mounting brackets. in a roll pan, fender, or any location exposed to the weather. 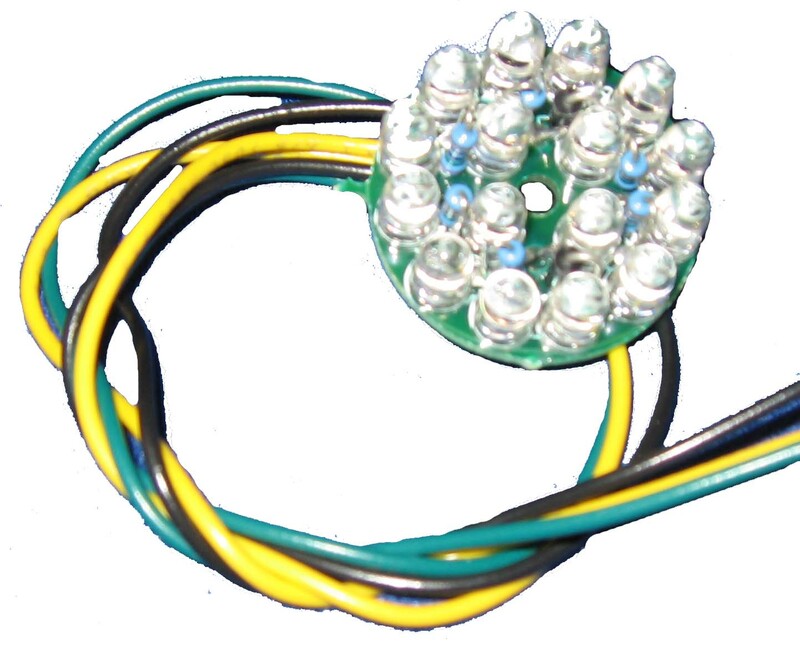 License Light Block LED card has 3 high intensity WHITE LEDs sealed in a 1/2� x 1/2� x 2-1/8� CLEAR block. The LE-SEQ-x may be ordered to operate either 3,4,or 5 LED or bulb REAR turn signals per side. For Bulb application pricing add 20.00 to current price. please call for exact LED card dimensions before ordering. NOTE: Blue Dot Lenses will NOT work with LED Lights. Ask about our Add-On-Blue-Dot for $29.95.